The Florida Mayhem	 Florida Mayhem OWL Rank #20 Xepher Koo Jae-mo (구재모) off tank HaGoPeun Jo Hyeon-woo (조현우) flex support Sayaplayer Ha Jeong-woo (하정우) dps BQB Lee Sang-bum (이상범) dps Swon Yoon Seong-won (윤성원) tank Kris Choi Jun-soo (최준수) support have announced the departures of Mineral	and yeah	alongside the addition of Insight	. Additionally, the team is looking to move their three western players and Promise to a new team. The Mayhem are announcing their changes following a Stage 1 in which the organization stated there were issues with communication and team synergy. As a result, the Mayhem have decided to move toward a roster and coaching staff that is entirely Korean. This indicates a change in the Mayhem's philosophy. Mayhem CEO Ben Spoont stated in September the team will not field an entirely Korean roster. The first changes coming to the Mayhem organization are within the coaching staff. Head coach Mineral and assistant coach yeah are leaving the team. Mineral was the team's only coach when the franchise first entered the Overwatch League last year and has been their head coach ever since. Insight will be brought in as a new member of the team's coaching staff. He previously coached Team Stormquake to the playoffs of Contenders Korea 2018 Season 3 and was coaching O2 Blast in Contenders 2019. At this moment, those are the only changes happening to the Mayhem roster or staff. However, there are more to come. The franchise stated in their news post, "This change of direction also means that we will be parting ways with our Western core of players and competitive staff. We are currently in talks with several other Overwatch League teams to find new homes for these players and coaches." Mayhem assistant general manager confirmed that the team's three western players -- McGravy	, TviQ	and Apply	-- and one western coach, Promise	, are still with the organization at the present time. McGravy, Apply and TviQ have all announced they are looking for new opportunities. While Promise did not advertise he was seeking for a new team, he did offer to talk to interested teams about the Mayhem's three western players. The outgoing group have all arrived on the Mayhem at different times. TviQ was a member of the franchise's original roster. Promise joined the Mayhem in the offseason. Apply was given a two-way contract in the offseason before becoming a full-time Mayhem player during Stage 1. 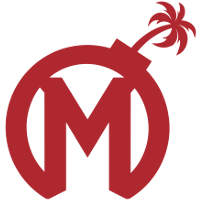 McGravy joined in late-February after the Mayhem had already played three of their Stage 1 matches. The Mayhem are 19th in the standings after a 1-6 Stage 1. They play the London Spitfire April 5. UPDATE: The story has been updated to say Mineral and yeah have left the Mayhem. Originally, the article says they were released. Assistant coach yeah has disputed that he was released and instead states that he left of his own accord. wE wIlL nOt Be FiElDiNg An AlL kR rOsTeR. I am actually wondering the same. I mean are Apply, McGravy and TviQ still in roster before someone else picks them up or are they actually out already?